Don Craig, Inc.Services - Don Craig, Inc.
Don Craig Consulting has over 25 years of experience providing sourcing services to American Clients with China Manufacturers. We will direct the entire manufacturing process from start to finish, creating the connection with our designated Chinese suppliers. Learn more about our process. Our tailor-made services with our experienced trade professionals, help you save money and find you quality suppliers. Our company has experience assisting a wide selection of businesses from different industries. We target top of the line manufacturers that are specific to your product, and will permit you to produce the finest results. With our value added service, we make your supply chain complete and perfect for each project. Locating cost-competitive manufactures to support your company’s supply chain requires an integrated strategy of many variables. The client and supplier must fit together regarding company size, quality, working systems, and most importantly relationship. The supplier must also be located in an area with reasonably priced raw materials, good infrastructure and a price competitive labor force. Our product solutions are divided into seven key areas that cover most types of sourcing services and product sourcing. As we cover all aspects of sourcing and production management in China, we are able to utilize your product specifications, to create or find almost any product. Using our knowledge and sources, we will accurately match your business and project needs, into one of the key product solutions, with the right China based supplier. For those customers who are not experienced with import-export operations, it may not be very easy to deal with Chinese manufacturing and import operations. We are your in-house team, representing you every step of the way in the process. We represent you from the beginning stages of negotiations, to the final shipment. We are able to solve problems and overcome difficulties quickly and efficiently. Our company has many connections throughout China. We maintain excellent relationships with our supply chain in the various markets we serve. For those of our clients interested in factory visits, upon request, we travel together to visit factories and meet face to face with the factory management. It allows our clients to have firsthand knowledge of our vendors and the people we are working with. It increases our transparency thereby allowing our clients to feel confident in the China environment. Our clients will have a greater understanding and awareness with every aspect of the process. Prior to departure, we assist our clients in arranging international flights and booking hotels, as well as all domestic transportation. We arrange your pick from the international airport in Shanghai and accompany you throughout the entire trip. You can depend on the many years of experience we have in travel and factory visits in China. Negotiating prices in China is an ongoing, dynamic process that never ends. We have been able to leverage years of negotiating experience, as we always look for a win-win balance with our vendors. A very important piece of this process is the personal relationships that we develop with each supplier. We always consider our clients target prices first, but know that we must also create a healthy relationship with our vendors, by allowing them fair and equitable margins for their work. We look to our clients for information surrounding their industry, company and product. With good information from our clients, we take the necessary time to prepare our vendor discussions thereby positioning ourselves, to achieve the best possible outcomes in this process. We pursue negotiating with clarity, patience and persistence. We always provide the technical detail that we represent for our clients and are committed to understanding the needs of factories, meshing the two entities. With this technique, we have been able to develop mutually respectful, trustworthy, sincere relationships. We are experienced in the Chinese culture and are able to communicate your technical specifications in the native language. If you visit China with us, we work with a local translator during your visit, making your journey easy and pleasant. There is no comprising of quality in the manufacturing process and therefore we have a very specific manner in which we manage our projects. From the beginning we will analyze the requirements of the product, including all technical specifications, and production completion date. We will provide careful due-diligence in locating manufactures requesting detailed quotations. We will carefully evaluate pricing proposals from various vendors, and determine which suppliers have the capability to manufacture the product per our specifications. Once we determine the vendor of choice we will develop a formalized plan with key factory representatives. We will issue our formal purchase order and begin the formalized production process. At this stage we will develop a prototype for client approval before we actually start production. Upon approval of the prototype, we will give the green light for production to start, and effectively utilizie our quality control standards throughout the production. Upon completion of production, we will complete our final production inspection and move into packaging. We will manage all aspects of packaging in preparation of loading the container. In developing new products, it is necessary to develop prototypes to your technical specifications. Before we begin mass production, we will validate your concept or product before starting mass production. Depending on the product, it may involve the expense of additional tooling or mold manufacturing. It will be used later as a reference in production and quality control management. We prepare technical documentation for our vendors to fully understand key issues. We discuss all technical specifications of the production and product. We establish factory training and quality control procedures before production begins. If these processes are already in place, we review and dialogue how they will work into our production. We make certain that high standards of supervision exist throughout the manufacturing process, so in the event a problem occurs, a corrective action plan is immediately established to remedy the problem. We provide strict quality control standards to make certain your products conform to your technical specifications. Our standards are set before mass production begins, and continues throughout production, with a final quality inspection at the end of production to validate the entire order. Throughout the process, we will check the quality of the product material, size, color, packing and product functions. We communicate regularly with written and photographic updates until production is completed. Many of our clients require specific assembly or packaging. Developing a product that has a great look on a retail shelf requires creativity. Certain products that may be fragile might require a special inner custom egg-crating specifically designed to prevent breakage during shipping and the stocking of retail shelves domestically. Developing the correct packaging is critical for the enhanced sale of your product and will ensure bottom line savings. With our supply chain of packaging vendors, we will help manage the flow of your artwork and custom packaging as well as uniform carton identification. 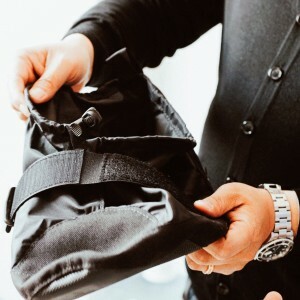 Prior to completion of production, we perform a final product inspection to ensure the quality and quantity of your goods meet the standards, as set forth in your purchase order. In this process, we also inspect the marking and labeling of each carton to make certain it is correct. We inspect cartons to make sure they are not damaged. Before loading the container, we will inspect the cleanliness of the container, as well as making certain the interior is dry. Finally we will ensure that the container is properly sealed. Our experienced team in our in-house shipping transportation department provides our clients outstanding service through a highly organized logistics system operation. Our logistics service ensures that your products are delivered efficiently, cost-effectively and in a timely manner. We can handle the entire supply chain management system from the factory to your dock. We will generate all documentation including the Packing List, Bill of Lading, Form A and Certificate of Origin. We provide import & export sea freight, air freight service, warehousing service, LCL, FCL, customs declaration & inspection services. We also provide cargo tracking services, documental services as per your requirement. 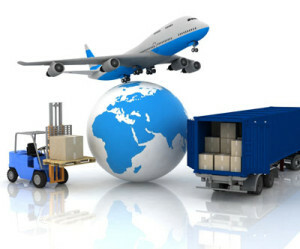 We monitor the delivery time, choose the efficient shipping way or shipping line. We collect the products from different suppliers and load the containers on the spot for you. We ensure that no space is wasted in the container. After loading, we will arrange and express all the documents to you. Some of our client’s purchase in small volume or have multiple product from different vendors customers requiring our production consolidation services. As a result, we coordinate and consolidate goods from different Chinese suppliers into one single container so that shipping and entry costs are reduced. With our service we coordinate and consolidate your products in one location filling one single container.